Rama won this one quickly. A GTS got the win for Itami. There's a chance this was a dark match as well. Dain hit the One Winged Angel before pinning Burch. Heavy Machinery squashed them quickly, then cut a promo on The Authors of Pain. They talked about how hungry they are. The crowd loved them and even gave them a "Steaks and Weights" chant. Both Daria Berenato and Macey Estrella got new names here. Berenato picked up her first win under her new name. Black got the win following a flying knee and a roundhouse kick. They had a good, long match. Itami hit the GTS to get the win. They shook hands afterwards, then SAnitY snuck in and destroyed Strong as Itami made his way to the back. 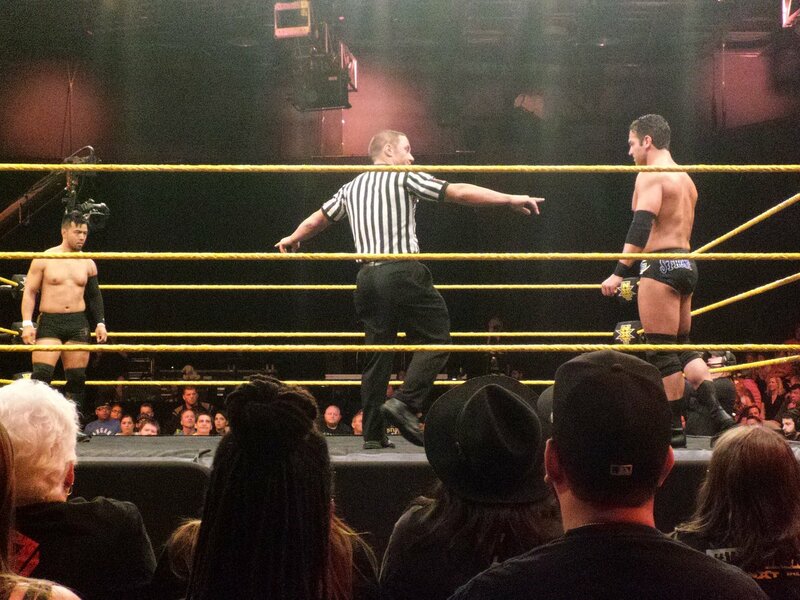 Itami will challenge Bobby Roode for the NXT Championship at TakeOver: Chicago. This was a great debut performance by Dawkins and Ford. Lun took the pin, leading to Miley destroying his partner after the match. McIntyre hit the Claymore kick to get the victory. This was a great match. Thea Trinidad was in the front row watching Almas during this one to further his ladies' man persona. Ohno won it with a rolling elbow. 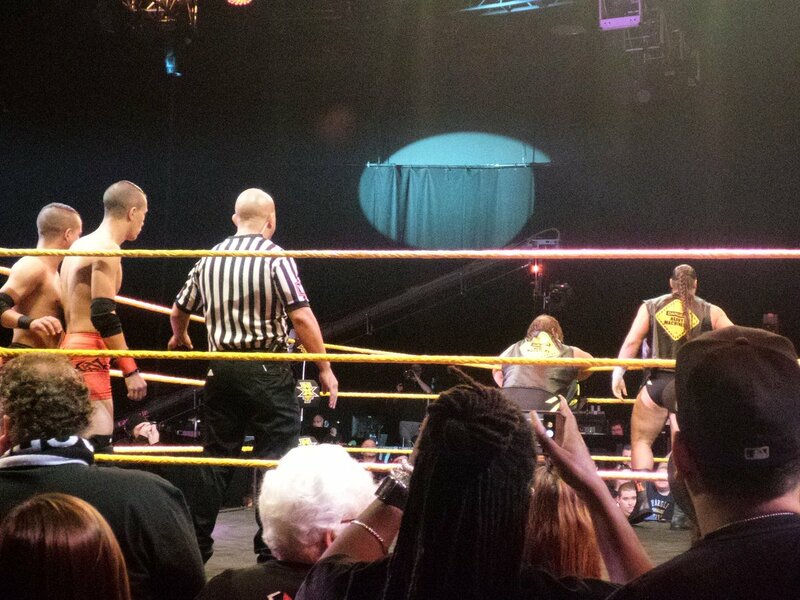 - DIY cut an in-ring promo before being interrupted by Tino Sabbatelli and Riddick Moss. The heels got electric heat. 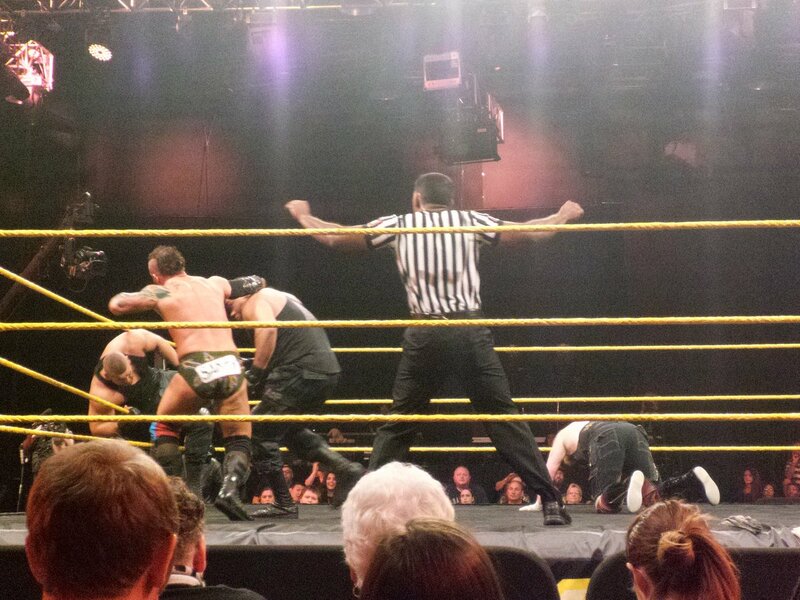 Johnny Gargano and Tommaso Ciampa hit their running knee and kick combo to pick up the win. William Regal came out after the match to announce that DIY will face The Authors of Pain in a ladder match for the tag titles at TakeOver: Chicago. - Bobby Roode came out for a promo. 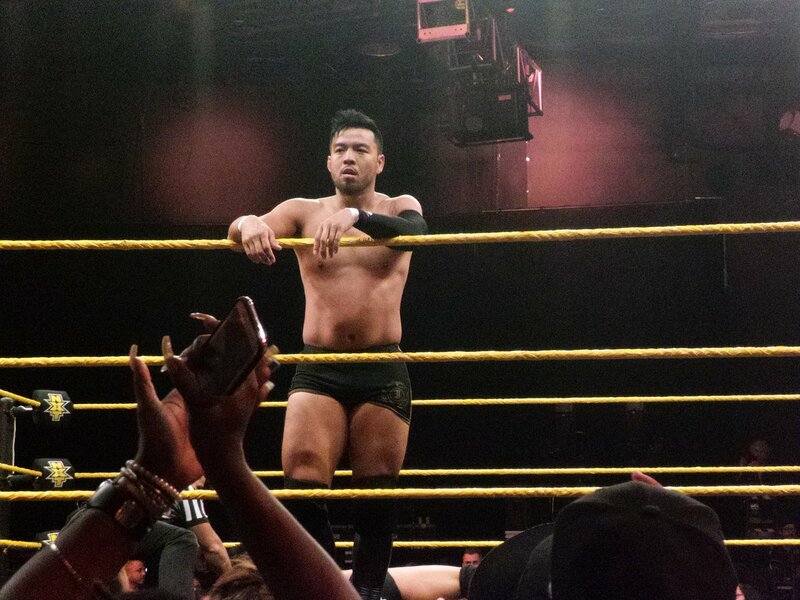 He ran down Shinsuke Nakamura and Hideo Itami, which led to Itami coming to the ring and laying Roode out with a GTS after fighting off security. Asuka caused the no contest by destroying the final three. The participants in the match were: Candice LeRae, Rachael Ellering, Liv Morgan, Aliyah, Peyton Royce, Kimberly Frankele, Nikki Cross, Ruby Riot, Sarah Bridges, Victoria Gonzales, Bianca Blair, Billie Kay, Sonya Deville, and Lacey Evans. LeRae and Ellering got big reactions. Regal came out after it was over to announce that Asuka will defend against Moon, Riot, and Cross in a fatal four-way match at TakeOver: Chicago. The teams brawled and had to be separated by security.